D. White, Composer - D. White, Lyricist - Unknown, Producer - R. Landry, Composer - R. Landry, Lyricist - Émile Prud'homme, Performer - Émile Prud'homme, Composer - Émile Prud'homme, Lyricist Copyright : (P) 1968 Sony Music Entertainment (France) S.A. Unknown, Producer - D. Tuveri, Composer - D. Tuveri, Lyricist - Émile Prud'homme, Performer - Émile Prud'homme, Composer - Émile Prud'homme, Lyricist Copyright : (P) 1968 Sony Music Entertainment (France) S.A.
L. Thomas, Composer - L. Thomas, Lyricist - Unknown, Producer - Émile Prud'homme, Performer - Émile Prud'homme, Composer - Émile Prud'homme, Lyricist Copyright : (P) 1968 Sony Music Entertainment (France) S.A. Unknown, Producer - M. Chevrot, Composer - M. Chevrot, Lyricist - Émile Prud'homme, Performer - Émile Prud'homme, Composer - Émile Prud'homme, Lyricist Copyright : (P) 1968 Sony Music Entertainment (France) S.A.
J. Mercury, Composer - J. Mercury, Lyricist - Pierre Carrel, Producer - Émile Prud'homme, Performer - Émile Prud'homme, Composer - Émile Prud'homme, Lyricist Copyright : (P) 1963 Sony Music Entertainment (France) S.A. Unknown, Producer - M. Chevrot, Writer - Émile Prud'homme, Performer - Émile Prud'homme, Composer Copyright : (P) 1968 Sony Music Entertainment (France) S.A.
D. White, Composer - D. White, Lyricist - Pierre Carrel, Producer - Émile Prud'homme, Performer - Émile Prud'homme, Composer - Émile Prud'homme, Lyricist Copyright : (P) 1964 Sony Music Entertainment (France) S.A.
Frizza, Composer - Frizza, Lyricist - Jean Segurel, Composer - Jean Segurel, Lyricist - Unknown, Producer - Émile Prud'homme, Performer - Émile Prud'homme, Composer - Émile Prud'homme, Lyricist Copyright : (P) 1968 Sony Music Entertainment (France) S.A. Unknown, Producer - C. Bonheur, Composer - C. Bonheur, Lyricist - Émile Prud'homme, Performer - Émile Prud'homme, Composer - Émile Prud'homme, Lyricist Copyright : (P) 1968 Sony Music Entertainment (France) S.A.
G. Favereau, Composer - G. Favereau, Lyricist - P. Gramon, Composer - P. Gramon, Lyricist - Unknown, Producer - Émile Prud'homme, Performer - Émile Prud'homme, Composer - Émile Prud'homme, Lyricist Copyright : (P) 1968 Sony Music Entertainment (France) S.A. 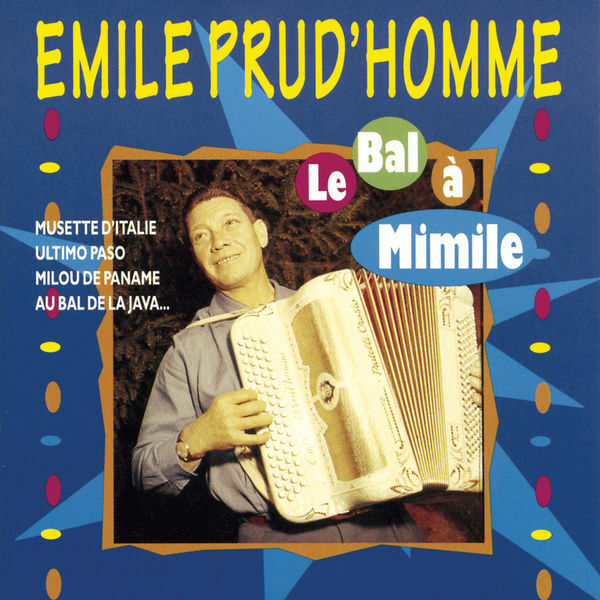 Unknown, Producer - M. Nouveau, Composer - M. Nouveau, Lyricist - Émile Prud'homme, Performer - Émile Prud'homme, Composer - Émile Prud'homme, Lyricist Copyright : (P) 1968 Sony Music Entertainment (France) S.A.
R. Joly, Composer - R. Joly, Lyricist - P. Carrel, Composer - P. Carrel, Lyricist - Unknown, Producer - Émile Prud'homme, Performer - Émile Prud'homme, Composer - Émile Prud'homme, Lyricist Copyright : (P) 1967 Sony Music Entertainment (France) S.A.
L. Thomas, Composer - L. Thomas, Lyricist - Unknown, Producer - Émile Prud'homme, Performer - Émile Prud'homme, Composer - Émile Prud'homme, Lyricist Copyright : (P) 1967 Sony Music Entertainment (France) S.A. Unknown, Producer - G. Durant, Composer - G. Durant, Lyricist - Émile Prud'homme, Performer - Émile Prud'homme, Composer - Émile Prud'homme, Lyricist Copyright : (P) 1967 Sony Music Entertainment (France) S.A.
H. Morgeaud, Composer - H. Morgeaud, Lyricist - Unknown, Producer - Émile Prud'homme, Performer - Émile Prud'homme, Composer - Émile Prud'homme, Lyricist Copyright : (P) 1967 Sony Music Entertainment (France) S.A.
M. Malet, Composer - M. Malet, Lyricist - Unknown, Producer - Émile Prud'homme, Performer Copyright : (P) 1967 Sony Music Entertainment (France) S.A. Unknown, Producer - M. Chevrot, Writer - Émile Prud'homme, Performer - Émile Prud'homme, Composer Copyright : (P) 1967 Sony Music Entertainment (France) S.A.
P. Gramon, Composer - P. Gramon, Lyricist - Unknown, Producer - R. Desbois, Composer - R. Desbois, Lyricist - Émile Prud'homme, Performer - Émile Prud'homme, Composer - Émile Prud'homme, Lyricist Copyright : (P) 1967 Sony Music Entertainment (France) S.A.
M. Alexander, Composer - M. Alexander, Lyricist - Unknown, Producer - Émile Prud'homme, Performer - Émile Prud'homme, Composer - Émile Prud'homme, Lyricist Copyright : (P) 1967 Sony Music Entertainment (France) S.A.
M. Malet, Composer - Unknown, Producer - Émile Prud'homme, Performer Copyright : (P) 1967 Sony Music Entertainment (France) S.A.
H. Morgeaud, Composer - H. Morgeaud, Lyricist - Pierre Carrel, Producer - Émile Prud'homme, Performer - Émile Prud'homme, Composer - Émile Prud'homme, Lyricist Copyright : (P) 1964 Sony Music Entertainment (France) S.A.
P. Gramon, Composer - P. Gramon, Lyricist - Unknown, Producer - Émile Prud'homme, Performer - Émile Prud'homme, Composer - Émile Prud'homme, Lyricist Copyright : (P) 1963 Sony Music Entertainment (France) S.A.
G. Favereau, Composer - G. Favereau, Lyricist - P. Gramon, Composer - P. Gramon, Lyricist - Unknown, Producer - Émile Prud'homme, Performer - Émile Prud'homme, Composer - Émile Prud'homme, Lyricist Copyright : (P) 1967 Sony Music Entertainment (France) S.A.
(P) 1977 Sony Music Entertainment (France) S.A.